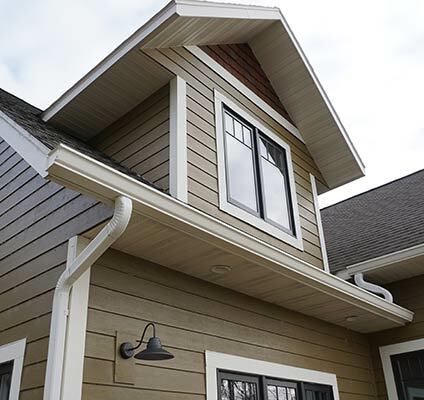 As one of the largest gutter-only companies in the upper Midwest, Advantage Seamless Gutters offers a complete suite of related services. Aside from design, customization, installation, and repair, we also offer additional gutter services. Gutters play an integral role in keeping your home in working order, so it’s critical to make sure that yours are in top shape at all times. Interested in gutter replacement? Consider 5 in. 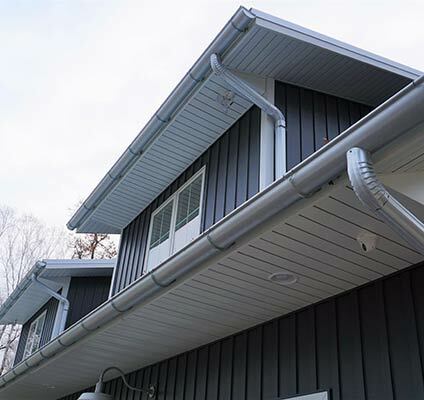 K-Style gutters from Advantage Seamless Gutters. 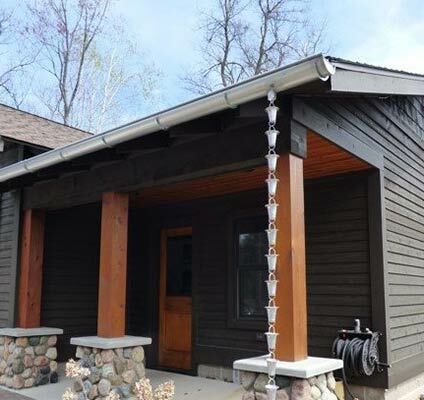 Homeowners have their own taste when it comes to the styles and designs for their house, and these include the way they want their gutters to look. 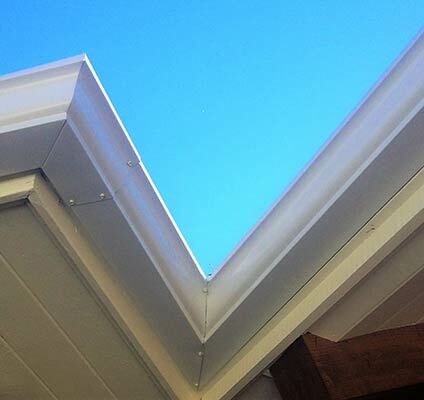 To find out more about the elegance Half Round gutters can bring to your home. Cleaning your gutters is a necessary part of your home maintenance, but it can be dirty and unsafe job. Let the professionals at Advantage Seamless Gutters take care of it with a one time cleaning or a gutter cleaning contract today. 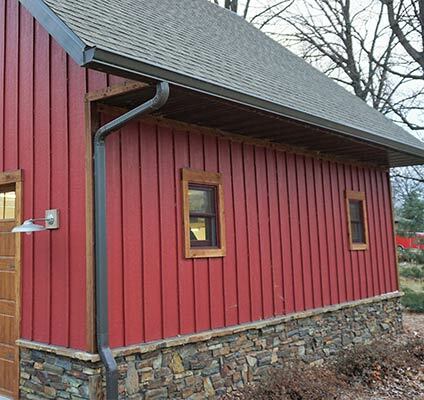 Not all gutters are the same, and we install some of the best in the industry. 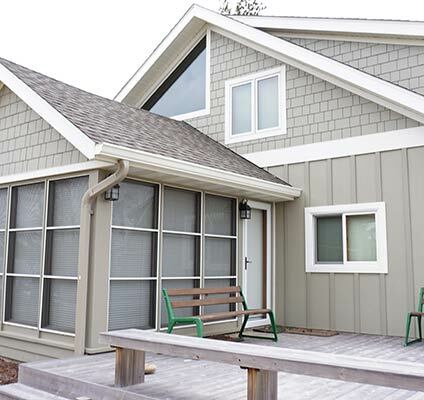 Our custom seamless gutters feature the thickest gauge aluminum and strongest hangers available on the market. 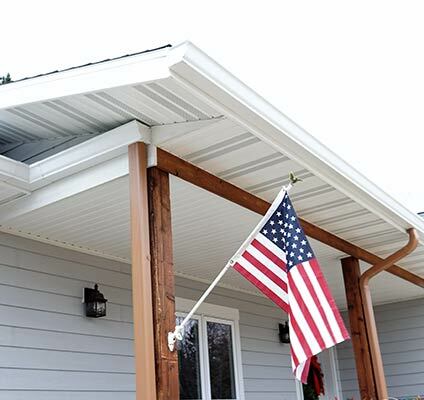 Want to know if our seamless gutters are right for your home? 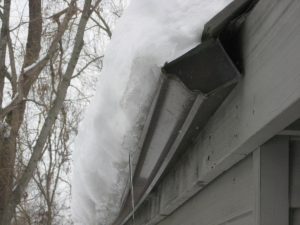 Have us come in for a free estimate and find out what specifically gutters can do to protect your home. 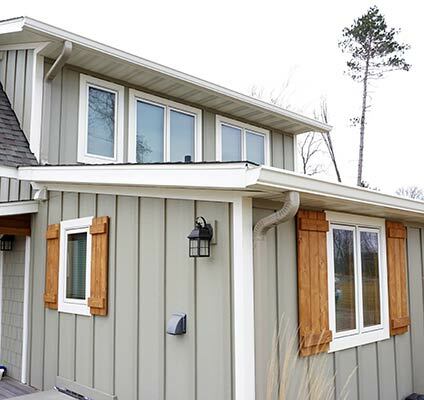 Since 2010, Advantage Seamless Gutters become a name synonymous with outstanding exterior home improvement services all over the state of Minnesota. Get a free estimate and Experience the Advantage today! Advantage Seamless Gutters offers professional gutter installation, gutter covers and gutter cleaning services statewide. We are a small business with big goals, and always guarantee the highest quality workmanship. So if you’re on the lookout for a gutter installers in the state of Minnesota, you’ve come to the right place! Everything You Need for Your Gutters — And More! Gutter installation and repairs – We specialize in various types of gutters, including Half-Round seamless gutters, 5inch K-style and 6 inch K-style gutters. 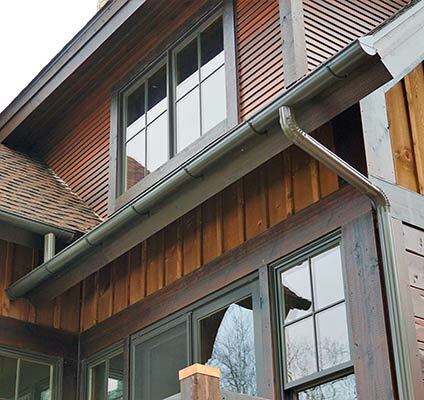 Custom-made gutters – All Advantage Seamless Gutters systems are made on site to your house’s specific needs. 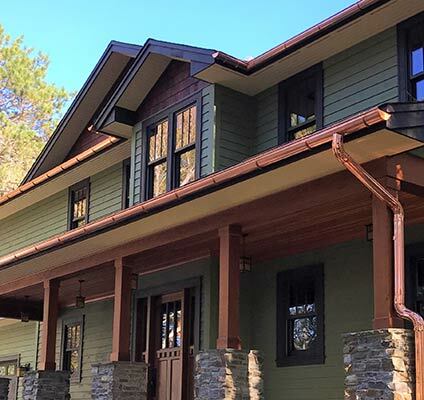 Made in aluminum, copper, galvanized and galvalume we custom design a gutter system unique to your home and architectural style. 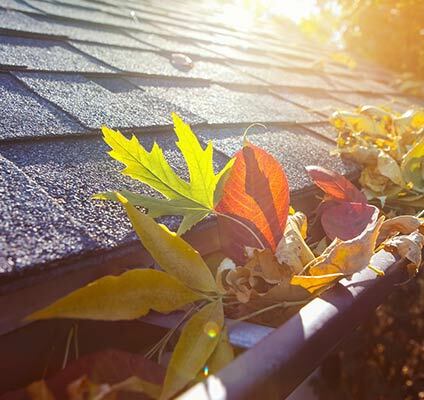 Gutter cleaning – Gutters clogged with leaves or needles can create hazardous conditions and cause extensive damage to your property. Protect your home and your health with our professional gutter cleaning services. Do not get on the roof and risk falling and injuring yourself, Advantage Seamless can clean your gutters professionally and safely. Valor Gutter Guards – With an efficient gutter guard and leaf protection system in place, gutter cleaning could be the least of your worries. We proudly carry and install Valor Gutter Guards, which are known for their sleek design and superior performance. Get a 25 year clog free guarantee today. Custom sheet metal fabrication for your specific projects needs. Get Started with Protecting Your Home Today! 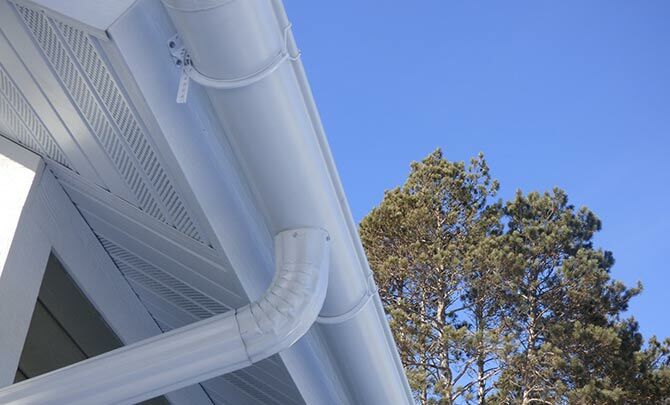 Protecting your home against water and moisture damage begins in ensuring that you have an efficient gutter system installed, and this is exactly what Advantage Seamless Gutters will deliver. 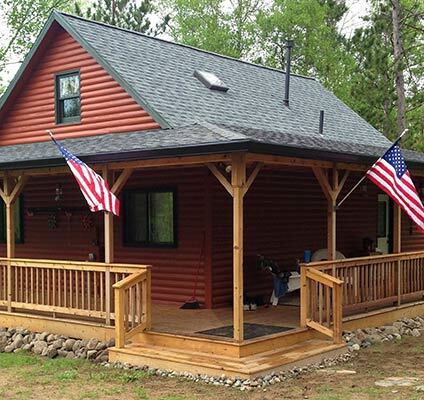 Call us today at (218) 270-2663 to schedule a consultation and request a FREE, no-obligation estimate. You may also fill out our online contact form to let us know of your concerns and inquiries. Experience the Advantage today!